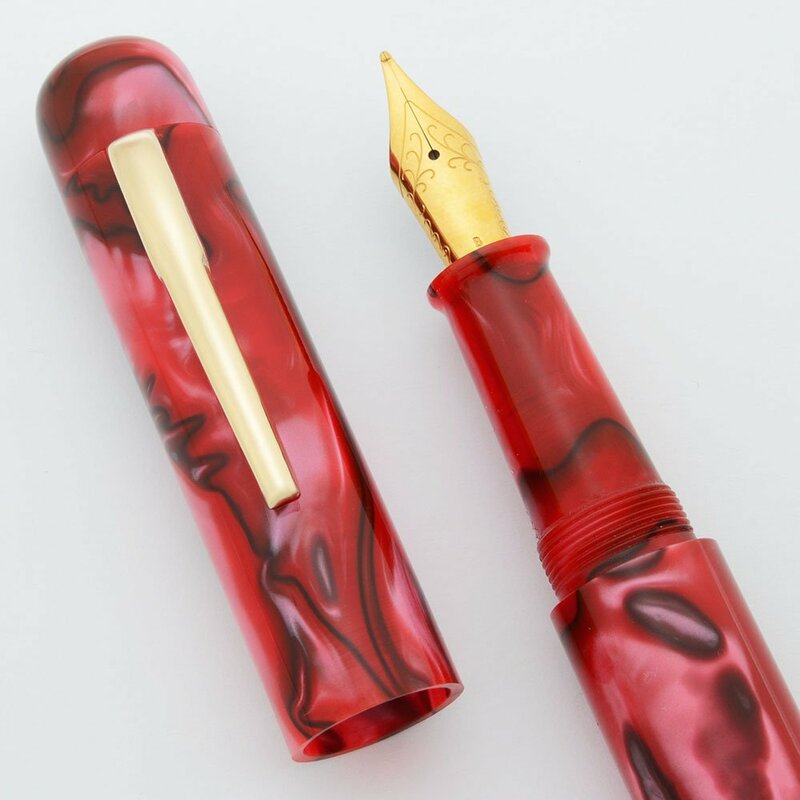 Large almost 6" acrylic fountain pen in a rounded ends design, made by Ranga of India. Cartridge or Converter with German screw-in nib units made by JoWo. Beautiful colors and patterns. Color We have these in a few different acrylic colors, and we'll be adding more. Nib You have a choice of nibs. 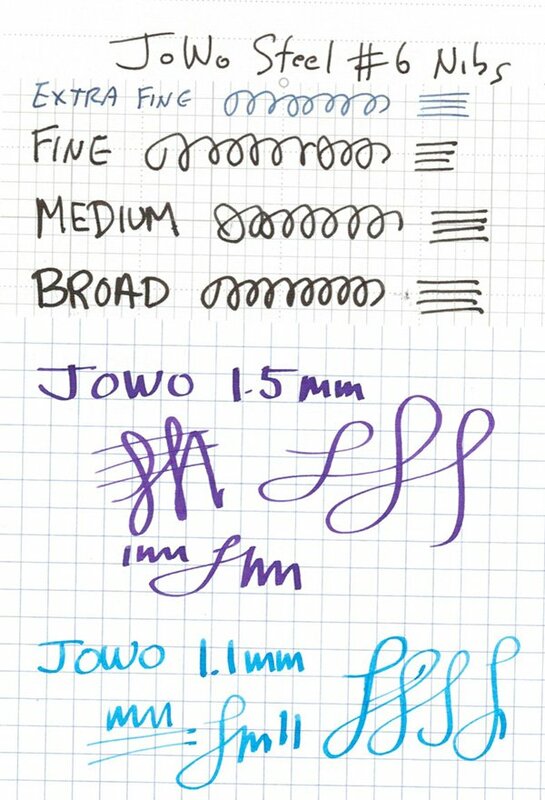 The pen is fitted with a German screw-in nib unit made by JoWo in its standard configuration. 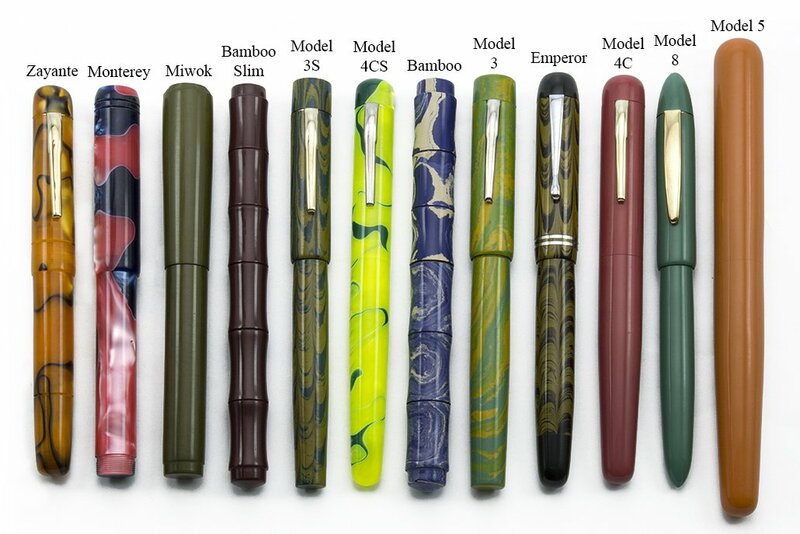 We offer this nib set-up with steel JoWo nibs.